Is it safe to say that Pokémon GO hasn’t just broken the Internet, but broken the world as well? It’s not just nostalgic millennials who are crazy about this new Android and iOS game from Niantic. Younger gamers are into it as well, and there are even some older players, a good many who aren’t familiar with Pokémon to begin with, who are playing it as well, curious as to what all the hubbub is about. Never would we have guessed that a Pokémon game, even one that uses augmented reality and allows players to play in the real world (and not exclusively in the in-game, in-device world) would be such a success, but by golly, it has, and then some. We can go on with the superlatives to describe Pokémon GO’s popularity. But if you’ve been playing for close to a week or more but haven’t had much headway in the last day or two, you may be wondering whether it’s worth it to continue with this Pokémon GO-mania or not. We dare say it’s worth it, as you may be a few advanced tips away from getting out of your rut. That said, read on, as we shall now be bringing you our latest Pokémon GO strategy guide for intermediate to advanced players as we’ve got many more tips in case you’re now a comparative veteran of the game. You would be able to earn free coins by becoming a Pokémon gym trainer, but beyond that, you can earn more by having your Pokémon defend a gym. Just leave the Pokémon of your choice at the gym so that it can stand on guard to defend, and you can pick up ten free coins every 20 hours. The more gyms you manage, the more coins you can earn, so if you can defend the maximum ten gyms, that’s 100 coins total every 20 hours. Not bad, huh? Having a Pokémon stationed by a gym has more benefits than the ones we told you about earlier. For one, you’ll be getting more XP on your end, and you’ll be getting that XP without having to worry about your Pokémon fainting. That also allows your gym to earn some prestige of its own, which is always a good thing when dealing with that multiplayer thing called Gym Battles. Yes, it’s that old standby of RPG titles with battle mechanics, and this strategy can also be used ( in a way) in Pokémon GO. When battling gyms, you might want to try beating the first Pokémon defending that gym. Beat that first one, then run away and see how many experience points you earned. If you earned enough XP, you can then return to battle off the other Pokémon on defense, and keep repeating the process as you earn more XP. You may want to try this strategy out if you know you have the elemental advantage, thus giving you a better chance of winning. Sure, you can throw a Pokéball (or a Great, Ultra, or Master Ball) straight-up and expect to catch a Pokémon with it if your timing is good. But you might want to add a little spin on it, effectively throwing a Curveball – this is done by quickly swiping the ball on your phone’s screen in a circular fashion. Catching a Pokémon with a Curveball throw will get you bonus XP. And, as a quick aside, you’ll also want to shrink the colored circle inside of the white circle to its smallest possible size if you want to get even more bonus XP. That’s going to increase the odds of catching the Pokémon you’re throwing the ball at. The game will, at first, give you a choice of three starter Pokémon – three well-known Pokémon who should be familiar even to some of those who don’t follow the franchise. These are Bulbasaur, Charmander, and Squirtle. But if you want the most popular Pokémon of all, Pikachu, to be your starter, then you’ll want to follow these next few steps. First, walk away from any one of those three starters instead of interacting with them. They will reappear afterwards, but once they do, just keep walking away. Repeat the process until Pikachu appears. And once he does, catch him and he will take over as your starter Pokémon. ..it doesn’t really help you catch Pokémon. We’re referring to the “augmented reality” camera setup, which adds another dimension to the gameplay by making things a lot more realistic. But having AR turned on also makes it much harder to catch Pokémon. With the feature turned off, you’ll see the stock animation in the background, with the Pokémon stuck in the middle but not moving at all. 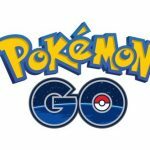 Not only will that make the Pokémon easier to catch, that can also save you big-time on battery life – and you probably know by now that this game is very intense when it comes to sucking up battery life. You can get more Pokémon by hatching eggs, and the best way to do this is to move quickly – don’t just walk, but go jogging with your phone, or ride your bike. Some have tried hatching eggs while driving around, but this isn’t really necessary, as the speed count in the game will only go as far as 12 mph. Riding your bike at a speed of 9 to 10 mph, however, is perfectly fine, and just right for hatching eggs. There is, however, another way for you to hatch Pokémon eggs without having to leave the comfort of home, assuming you have a certain piece of gym equipment. And we’ll be talking about that next. Of course, we were referring to a treadmill, and you can still hatch eggs while exercising on one, as the game will count distance based on the pedometer. You’ll still be accumulating distance for the egg even if you don’t change position on the map, so you can do this all at home, or at the gym. Better yet, Pokémon can still appear even if you’re moving on a treadmill, even if you haven’t used any incense. That could still be tricky, though, as you’ll have to be holding your phone while working the treadmill. If you’re an Android phone user, then you’re in luck, as this trick has been known to work in speeding up the hatching process. Go to your phone’s Settings, then go to Location Mode, where you’ll want to switch it to Battery Mode. Doing this will cause your map location on the GPS to vary quite a bit, and that will also speed up the egg hatching process due to all the location changes. That, in addition, also saves up on battery life. 11. Which Pokémon Are The Easiest To Evolve? Hatching eggs, just like evolving Pokémon, would get you 500 experience points each, so you’ll want to do as much of that as possible when playing Pokémon GO. But which characters are the easiest and most affordable to evolve? Those characters would be Caterpie, Pidgey, Rattata, and Weedle, so if you’re gunning for duplicates of the same Pokémon, it’s good to set your sights on those four. And don’t forget to use a Lucky Egg before evolving (or better yet, mass-evolving) so you can get twice the experience points you would normally receive. 12. When Else Should You Use Your Lucky Egg? Just how do you get that elusive “Nice!” bonus in Pokémon GO? The best way to go about this would be to stop the circles, and to only throw the Pokéball once you see the colored circle fully overlapping with the white circle. That will give you that coveted bonus, and give you the best odds of successfully catching the Pokémon. Now that, we’d say, is really Nice. It’s a common misconception, but gym battles and gym training do not, and we repeat, do not, change the CP cap of your Pokémon! Leveling up is what changes their maximum CP, but gym activity doesn’t change a thing – it doesn’t make CP ratings better, but neither does it make CP worse. Unfortunately, Pokémon GO still has a bug that fails to notify players when they level up, which is why there are so many who believe in the myth of gym activity being a good way to improve maximum CP. It can be very annoying, but it’s one of the few bugs in a game that isn’t even two weeks old. Pokémon GO can sometimes freeze at random, and that may happen while you’re in the heat of a Pokémon fight. But you don’t have to panic, and you don’t have to give up the battle for lost. Just close the game and once you restart the game, head to your journal. You’ll be notified on the journal if you were able to catch the Pokémon or, if Lady Luck wasn’t smiling on you or your phone, weren’t able to catch it due to the freeze. Yes, it’s small consolation for those who weren’t able to catch a Pokémon in the process, but there are many cases when it turns out the player was able to catch it after all. 16. Is The Evolution Random Or Not? At this point in the game’s existence, there are many topics that remain hotly contested. This includes the topic of whether you can get a certain type of evolution based on the listed moves, or whether the evolution process is random. Allow us to explain what we’ve found out so far: if a Pokémon knows Dig, you’ll get the Flareon evolution. Body Slam results in Jolteon, while Swift results in Vaporeon. 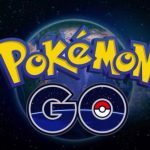 We’ve seen this theory repeated quite a few times, though as is always the case in Pokémon GO, the information might not be reliable all along. The best way to treat this would be to consider all evolutions as random, and not to expect anything when it comes to moves relating to a type of evolution. And this wraps up our Pokémon GO ultimate guide for advanced players. Still need more this to succeed in the game? Be sure to head over to our collection of Pokémon GO tips and tricks!